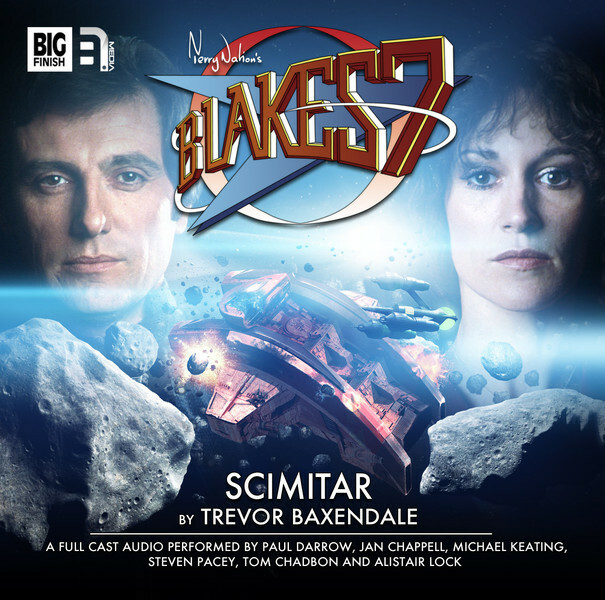 Scimitar, Episode 1 of Series 2 of the Blake’s 7 Classic Audio Adventures is released today by Big Finish. This is the first of 6 episodes, one to be released every month for 6 months. Steven Pacey appears once again as Del Tarrant in an episode penned by Trevor Baxendale. Other original cast include: Paul Darrow (Kerr Avon), Michael Keating (Vila Restal), Jan Chappell (Cally) and Tom Chadbon (Del Grant). Listen to the Trailer. There are 1 Comments to "Scimitar"
I have been loving all the full cast audios and Scimitar is just as good as the rest. I am also loving the relationship the writers have been ‘painting’ for Del Grant and Tarrant, or the two Del’s as has been noted elsewhere. You’d think they both would have a fellow feeling, both having military experience and being rebels, but it’s not always the case we learn. But it’s been great having Steven reprise his role of Tarrant and to contribute to the Big Finish Blake’s 7 range. Eagerly looking forward to hearing more of our intrepid Freedom Fighters in future.